INDIANAPOLIS, Ind. — Sen. Ron Alting (R-Lafayette) participated in the Indiana General Assembly’s annual “Organization Day” yesterday and said he is eager for the 2009 legislative session to begin. Alting said he planned to focus on helping the state maintain a balanced budget, protect education funding, permanently cap property taxes and continue job creation efforts. Alting joined in the affirmation of Sen. David Long (R-Fort Wayne) as President Pro Tempore and Jennifer Mertz as secretary of the Senate. This will be a long session for the Indiana General Assembly, which begins in January and runs through the end of April. Indiana Supreme Court Justice Brent E. Dickson presided over the ceremony and administered the oath of office. Each year, Organization Day officially marks the first day of the upcoming legislative session. It is usually ceremonial, highlighted by new members being sworn into office. 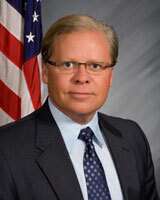 Alting encouraged constituents to stay in touch during the session by signing up for electronic legislative updates at http://www.in.gov/s22.